A Big Race Weekend for Gazelles! Congratulations to 3M Half, Houston Marathon & Half Marathon and Big Bend Ultra Gazelles! Scroll to the end of this full post for all weekend results. Please pay close attention to upcoming Saturday Long Run maps, we’re updating some of our routes. Some tweaks are small, others are shifts to different roads, and some are brand new routes. Why, you ask? As Austin grows with more and more traffic, some roads we've always used are no longer safe. For example, the point-to-point using Burnet Road has become too dangerous. We'll be phasing routes out either by changing portions of them or removing them completely. We’re trying to keep you safe and on the best routes possible, so send us your feedback! This week’s Yoga class will be canceled. We’ll see you back in class on Sunday, Feb. 3rd! If you want to run the New York marathon in November, registration is now open. Registration is via lottery or qualifying time so you need to sign up now (through 2/14) if you want to try to get in. 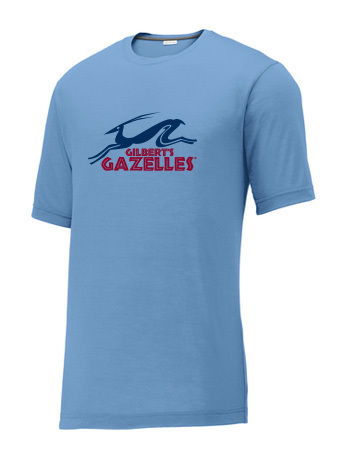 Gilbert’s Gazelles has been invited for a special pre-open shop on Sunday, 1/27 at 10:00am to celebrate the 2019 running season with Lululemon. There will be a special discount during this time, so make sure to RSVP! There will be coffee and light snacks as you shop. You must be an active Gazelles member to RSVP. New shirts are available in the store! 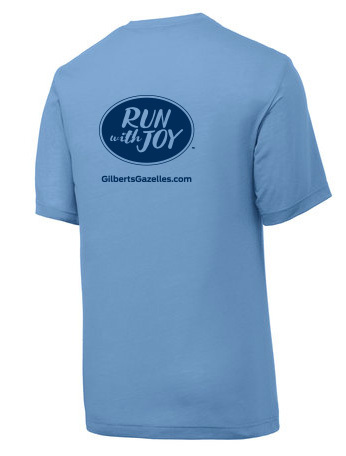 Available in men’s and women’s styles. We also are offering a special price on Gazelles socks and other items. Get ‘em while they last! If you’re a Gazelle that runs with us on T/TH at 7am or 8:15am, you might consider helping out our LVL friends. They need a few volunteers to wear their hydration monitor during workouts to gather data. You can sign up at HQ before the workout, come 10 minutes early to get set up. Thanks! Austin Parks and Rec has launched a pilot program to allow electric bikes and e-scooters on some trails. The Ann and Roy Butler Hike and Bike at Lady Bird Lake (yes, that's the official name of the Town Lake Trail) only allows e-bikes under this pilot program, not e-scooters. Click for the full article.